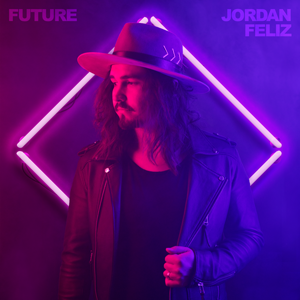 Jordan Feliz has released “Future” through Centricity Music and all songs are now loaded into WorshipTeam.com “Future” is a recording of some great new songs. that we do not hold the future in our own two hands. And thank goodness, because the One who does has already written better stories for us than we ever could. 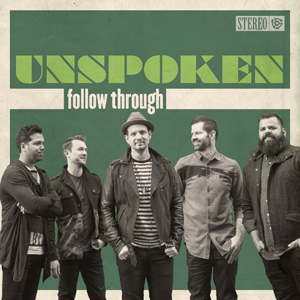 Unspoken has released “Follow Through” through Centricity Music and all songs are now loaded into WorshipTeam.com “Follow Through” is a recording of some great new songs. With the release of Follow Through, Unspoken has found a place of new freedom to push the boundaries of their trademark sound, mixing in horns and electronic elements in fresh ways without altering the core of their musical identity. Follow Through evidences a forward leap of artistic evolution from the last record, blending hip hop, soul, pop and folk influences to tell the story of the season of life the band members have found themselves in over the last couple of years. Band members Chad Mattson, Jon Lowry and Mike Gomez co-wrote every song on the album, as the record delivers the heartfelt lyrics and singable melodies the band is known for. Then add the smooth, soul-edged pop vocals of lead singer Mattson, the complex vocal harmonies of Gomez and Lowry, to the skilled musicianship of drummer Ariel Munoz and new band member, keyboardist Don Eanes. There will be two versions of the album with all new, original songs. The standard edition will feature 10 songs and will be available at all digital and retails outlets. The deluxe edition, exclusively available at Lifeway stores, all digital outlets and at the band’s concerts, will feature 14 songs with “Sleep In The Storm,” “Can’t Deny Your Love,” “Roots” and “Solid Rock” that are only available on this version of Follow Through. 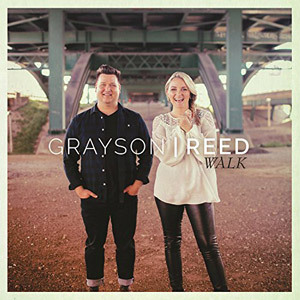 Grayson/Reed has released “Walk” through Centricity Music and all songs are now loaded into WorshipTeam.com “Walk” is a recording of some great new songs. Husband and wife duo, Grayson|Reed, will release their first project for Centricity Music, Walk, on January 13, 2017. The six-song EP will be available at all online music outlets, with a nine-song version of the record only being sold at Grayson|Reed concerts. Besides the amazing talents of Mike Grayson (Mikeschair) and Molly Reed (City Harbor), numerous producers took part in creating this project including Justin Ebach, Ben Glover, Jeff Pardo and Seth Mosley. Grayson|Reed co-wrote all the original material, including their new single, “Fight For You,” that is already No. 14 on Billboard’s Soft AC chart. The song honestly faces the issues of being married, and how leaning on God helps couples get through the rough parts. I’m gonna fight for you/Nothing’s ever gonna burn this down/I’m gonna fight for you/Til the breath in my lungs runs out/Our love is something I don’t wanna lose/So every single day I’m gonna choose/I’m gonna fight for you. Grayson|Reed delivers a solid project with seamless vocals and musicianship, which is powerfully showcased on the upbeat title track, while “Bloom” is a song written about and for their daughter Grailey. “Can’t Get Enough” is a Nashville influenced tune that displays the diversity of these talented artists. The project is rounded out with two powerful ballads, “Be Revealed” and “How This Ends.” All songs are loaded and ready to use- just access your WorshipTeam.com system database. 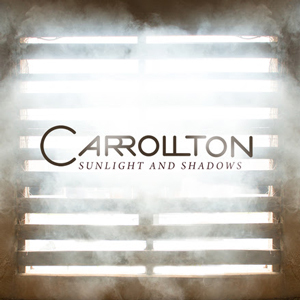 Carrollton has released “Sunlight And Shadows” through Centricity Music and all songs are now loaded into WorshipTeam.com “Sunlight And Shadows” is a recording of some great new songs. The first single from the EP, “Let Love Win,” was a standout performance at the recent Momentum 2015 conference in Orlando, FL. Carrollton was joined on stage with their Centricity labelmates that included Lauren Daigle, Jason Gray, Unspoken, Jordan Feliz, Andrew Peterson, Jonny Diaz and Jared Anderson. The rousing performance spotlighted the moving lyrics of the song about the turbulent events that have shaken our country. We believe Your love is the strongest way/You’re tearing down walls and You break our chains/Even in this darkness hope will rise again/When we lay down our weapons we will let love win/Lord we lay down our weapons and we let love win. All songs are loaded and ready to use- just access your WorshipTeam.com system database. 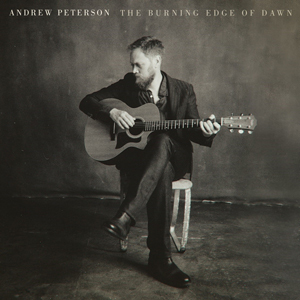 Andrew Peterson has released “The Burning Edge Of Dawn” through Centricity and all songs are now loaded into WorshipTeam.com “The Burning Edge Of Dawn” is a recording of some great new songs. One of Christian music’s most prolific and thought provoking singer-songwriters will release his latest Centricity Music project, The Burning Edge of Dawn, October 9th. The album features 10 new songs written by Peterson between February and May 2015, with his longtime friend, producer Gabe Scott (Crowder). The process of making this record was a departure for Peterson, since most of the songs were written during the recording process. Having just completed writing The Warden and the Wolf King, the final book in the award-winning Wingfeather Saga series, Peterson began the project without a handful of songs in his pocket. These joyful songs deliver the heart-rending lyrics that Peterson fans have always enjoyed. The Burning Edge of Dawn launches with the powerful song, “The Dark Before The Dawn”: I’ve been waiting for the sun/To come blazing out of the night like a bullet from a gun/Till every shadow is scattered, every dragon’s on the run/Oh, I believe, I believe that the light is gonna come. Two of the songs are written for two ladies in his life, his wife, Jamie (“My One Safe Place”) and his daughter, Skye (“Be Kind To Yourself”). “The Rain Keeps Falling” features singer/songwriter Ellie Holcomb, and two of the songs include background vocals from his friend Caleb Chapman, of the band Colony House. All songs are loaded and ready to use- just access your WorshipTeam.com system database. 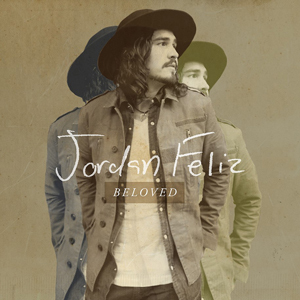 Jordan Feliz has released “Beloved” through Centricity Music and all songs are now loaded into WorshipTeam.com “Beloved” is a recording of some great new songs. Beloved features six new songs that were co-written by Feliz including the new single, “The River.” We’re goin down to the river/Down to the river/Down to the river to pray/Let’s get washed by the water/Washed by the water/and rise up in amazing grace. The record also offers the up-tempo “Dancing Through The Fire” and “Rejoice,” the mid-tempo anthem celebrating the power of God. There are also the beautiful ballads “Simple,” “Satisfied,” and the title track that was written for Feliz’s new daughter, Jolie. The last four songs on the album, the Song Sessions, are acoustic versions of “Beloved” and “The River,” along with covers of “Photograph” and “Brother.” All songs are loaded and ready to use- just access your WorshipTeam.com system database. 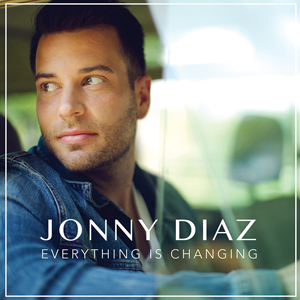 Jonny Diaz has released “Everything Is Changing” through Centricity Music and all songs are now loaded into WorshipTeam.com “Everything Is Changing” is a recording of some great new songs. Nashville, Tenn. (September 9, 2015) —- Singer-songwriter, Jonny Diaz, will release his second project for Centricity Music, Everything Is Changing, September 18th. 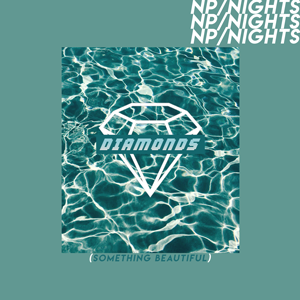 The majority of the album was produced by Chad Copelin, with Josh Bronleewe (David Dunn, Ginny Owens) producing “Enough In You,” and Jeff Pardo (Mandisa, Salvador) “Joy.” Diaz co-wrote all six songs on the new EP, and the first single is “Breathe.” The song spotlights the hectic pace of Diaz’s life that includes the birth of his first child, Charlie Grace, and helping his wife, Libby, open a fitness studio in Nashville. All of this swirled around Diaz while he was on a 40-city tour and co-writing sessions for the new record. Everything Is Changing opens with “Enough In You,” showing the strength of God, while the most upbeat song on the album, “Joy,” announces the happiness of a faith-filled life. The anthem song, “Chance,” heralds the peace of the Lord during hardships, and the project closes with a song for Charlie Grace, “All Because Of You.” The balance between being a new father and provider is the same struggle all parents face, but can be handled with God as the guide. The truth is too much time can just get boring/And I don’t really need a sporty car/And I used to say that I would like to see the world/Now my world is right here sleeping in my arms. All songs are loaded and ready to use- just access your WorshipTeam.com system database. 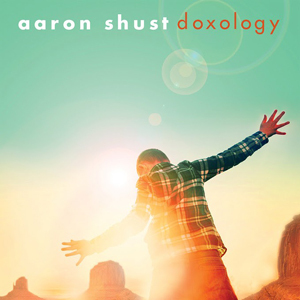 Aaron Shust has released “Doxology” through Centricity Music and all songs are now loaded into WorshipTeam.com “Doxology” is a recording of some great new songs. — Dove Award-winning artist Aaron Shust will release his new studio album for Centricity Music, Doxology, on Friday, August 28th. The project was recorded in Nashville and was produced by the David Crowder Band’s renowned drummer, Christian Paschall. The record contains 10 new songs, with eight that were co-written by Shust, including “Nothing More” that features labelmate, Lauren Daigle. The album delivers Shust’s signature style of corporate worship in a festive and celebratory frame that honors the good news of the risen Christ. The project will be available at all online music outlets. “In the first chapter of Job,” Shust explains, “we see that Job was able to worship even in the midst of his grief, but he wasn’t ready to celebrate yet. I can relate to that. Four years ago I could worship, even in the midst of suffering, but I wasn’t ready to celebrate. It’s not that circumstances aren’t still hard sometimes. I still have to remind myself that God’s promises are true. But having walked through what we’ve walked through as a family, and having experienced God’s comfort and faithfulness in deeper ways than we ever had before, there’s an air of celebration and expectancy that wasn’t there before.” All songs are loaded and ready to use- just access your WorshipTeam.com system database.